You should see the elephant on Radcliffe road -- oh, I wonder if it's on Streetview? Ops, yes! The amazing, slightly distorted, elephant hedge. Just as the mail notification for this comment arrived I was struggling to remember where exactly that elephant was so that I could mention it. 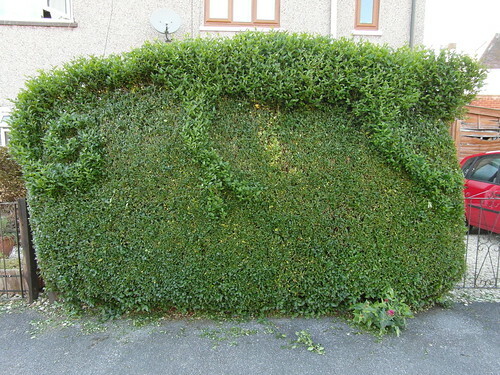 I remember it as being less distorted, so either the topiarist's skills have improved since the Googlecar went past, or I have fondly misremembered it as an ideal elephant.